19.29mm x 29.77mm / 0.759in. x 1.172in. Celtic Cross PhotoArt® Charm by Rembrandt Charms. The height is 1 1/8 of an inch. 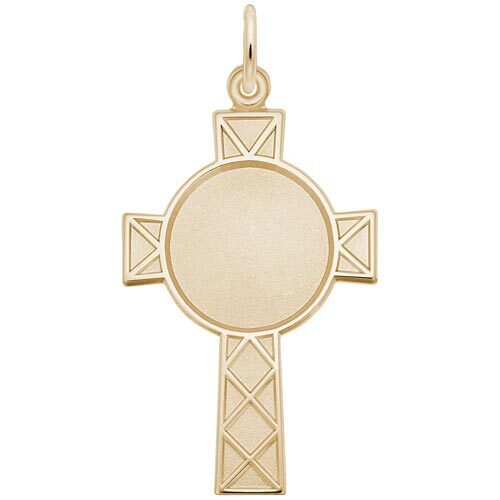 An Irish symbol of Christianity, this Celtic Cross PhotoArt® Charm is perfect for expressing faith. Engrave on the back for a personalized message or name.